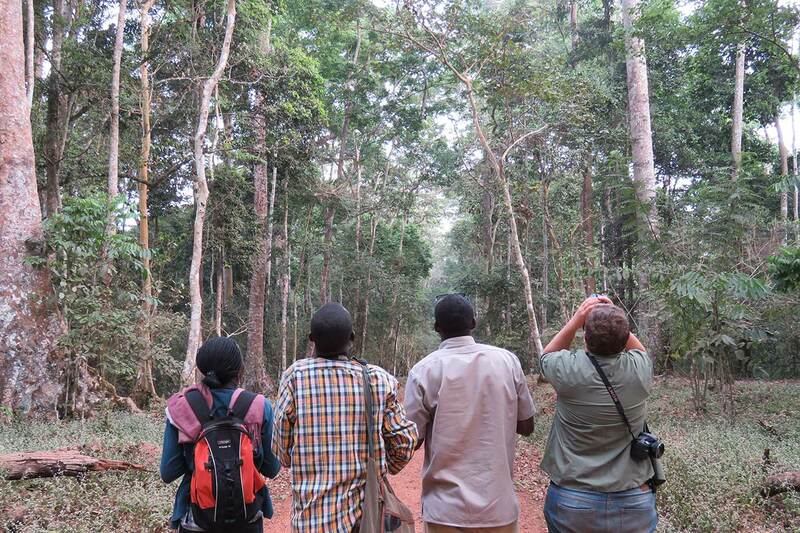 Located close to Murchison Falls National Park, this semi-deciduous forest used to host a large number of mahogany trees and is home to a population of chimpanzees. See around 600 chimpanzees chimp tracking. Animals: chimpanzee, lion, leopard, buffalo, blue monkey and elephant shrew. Birds: Yellow-footed Flycatcher, Puvel’s Illadopsis, Zoothera cameronensis, Piping Hornbill, Cassin’s Spinetail, Chapin’s batis, Rufous-sided Broadbill, Lemon-bellied Crombec, Spotted Greenbul, Green-breasted Pitta and Woodhouse’s Antpecker.